We are engaged in offering an exclusive range of SS Flange Nut which is available in different sizes and specifications. Our nuts are manufactured using intricate technology to ensure technologically advanced range. Our range ensures maximum durability even in long run. These are designed in such a manner to fulfill specific demands of our clients. These are offered at market most competitive rates. 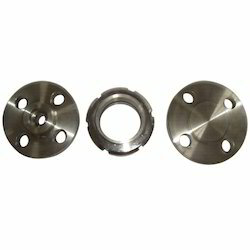 Our range includes SS Flange with Coupler Nut and SS Raised Face Flange and Nut. We also offer an exclusive range of SS Raised Face Flange and Nut which are known for their minimum wear and tear even in long run. Our range is manufactured using superior quality material as per international quality standards. These are available in different grades to our esteemed clients. We offer our range in sturdy construction ensuring durability even in long run. These are available in different sizes and specifications according to the client’s request. We offer an exclusive range of Stainless Steel Chain American Series which is known for their durability and dimensional accuracy. Our range is quality tested during the time of manufacturing to ensure superior quality products. 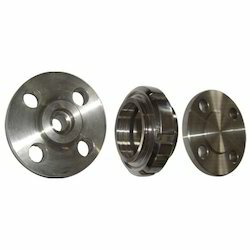 These are available in innovative designs stalling any type of sliding off from varied joint especially flange joint. Our range provides secure mechanism of locking thereby preventing any kind of damage. Looking for Stainless Steel Flange Nut ?